Madrid, Spain is home for this one man band homeboy. 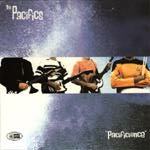 This 4 song ep contains one nice guitar instro called "Pacifics Theme". Josep Barara is the main guy, with help from a few buds, but mainly it's him. His usual stuff is 60's Brit pop based, but he loves the surf, so... He also hosts a radio show on local Barcelona radio station RCB (Radio Ciutat de Barcelona) at 94.4 fm called "Safari Pop." A gentle surfish rhythmic instro, slightly reminiscent of the Ventures. That's not quite fair as a comparison, but the flavor is accurate. Enjoyable, melodic, and original.